Pentylone: What is it, why should we care and how can Multi Agency Safety Testing help? To date, our preliminary results suggest that about 1 in 10 UK festival goers who bring us substances of concern to test have been mis-sold drugs and about 9 in 10 got what they expected. Mis-selling can range from relatively harmless substances such as sugar being mis-sold as ketamine; and psychoactive substances such as caffeine being mis-sold as cocaine and ecstasy; through to harmful substances such as boric acid (a pesticide and household cleaner) being mis-sold as cocaine (all examples from The Loop’s MAST festival testing this summer). We also see a small amount of New Psychoactive Substances (NPS) being mis-sold as established street drugs. The motive for this is likely to be that it is far cheaper and less risky to manufacture, traffic and supply a drug which is Class B in the UK but uncontrolled in the country where it is produced, rather than a Class A established street drug in the UK which is internationally controlled. For example, throughout four years of testing clubbers’ and festival-goers’ drugs The Loop has identified a small number of samples of cathinones and valerphenones (also known as valerones, a family of stimulant NPS sometimes inappropriately called “bath salts”) being mis-sold as MDMA. These have mostly escaped bans in Asia and cost under £1 per gram to buy in bulk. Back in autumn 2013, clubbers were being mis-sold methylone (a stimulant in the cathinone family) as MDMA crystal, not dissimilar in effect or appearance (beige crystals). This summer, at each festival that The Loop has provided drug safety testing, we have identified a small number of samples of ‘pentylone’ and ‘N-ethyl-pentylone’ (an analogue of pentylone), both stimulants in the valerone family, that are being mis-sold as MDMA in pill, powder and crystal form. Again, it looks identical to MDMA in crystal form and has similar effects at first but the pleasurable effects wear off more quickly which causes people to take more and more to chase a high that never returns. It is notable that we started to identify pentylone and N-ethyl pentylone in ecstasy supplies only after methylone (safer than both pentylone and MDMA) was banned in China after pressure from the US. Most recently, at Kendal Calling festival last weekend, The Loop was asked to test a blue ‘Anonymous’ logo pill that was bought as ecstasy on site and from a batch that had resulted in a number of casualties presenting to the medical facilities in the first 24 hours of the festival. Police seized a large number of these pills from a suspected dealer at the festival. Patients presented with ill effects including agitation, paranoia, and raised pulse and blood pressure that remained elevated even after being given intravenous sedatives. The Loop was able to test a number of these pills directly from various sources on site including police, paramedics and users who used our ‘front of house’ drug safety testing service. 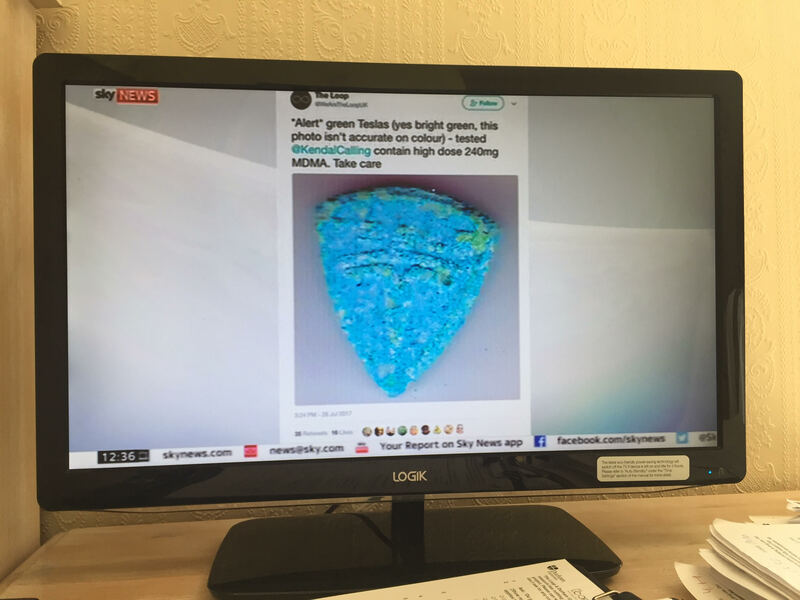 When we discovered that the blue pills contained N-ethyl-pentylone rather than MDMA, we posted an alert on our social media sites with a photograph and further details of the contents. This was then reposted by the festival management, police and other on-site agencies on their social media sites for maximum circulation. The mis-selling of pentylone and its analogues is particularly insidious because the effects, appearance and dosage are quite similar to MDMA itself, but the empathogenic effects are not so pronounced and the euphoria fades more quickly. With all of the valerones (pentylone, N-ethyl pentylone, a-PVP, MDPV, pentedrone) redosing seems to disproportionately extend the time to clear the body and this makes sleep very difficult or impossible for up to 36 hours without further medication. The outcome of this in a festival setting can easily be either self medicating with depressant drugs to mitigate the long-lasting stimulant effects, or severe temporary psychosis, as festival welfare charities Kosmicaid and Chill have also seen with the related compound ‘a-PVP’. Furthermore, with all the valerones being more potent than MDMA, the mis-selling of valerones as ecstasy causes added concern given that an amount that could be considered an ‘average’ dose of MDMA would be a very strong dose of any of these impostors. 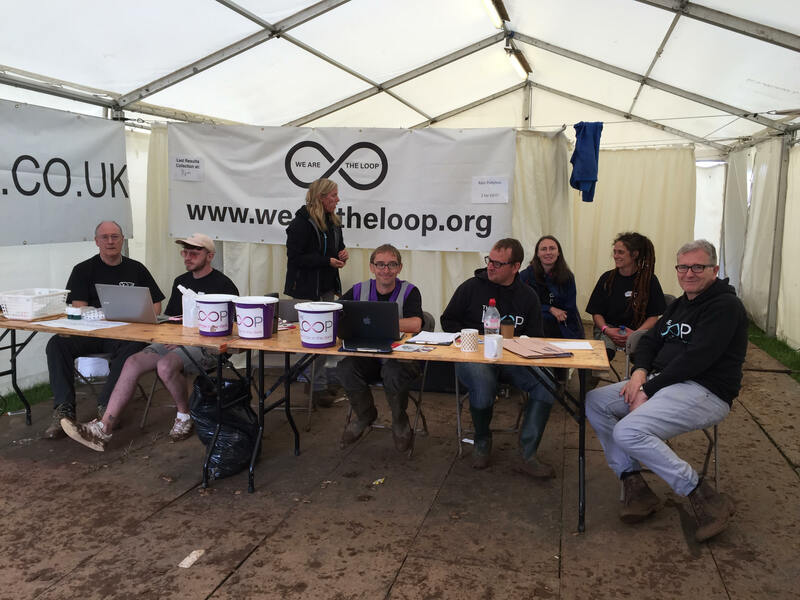 The Loop’s Multi Agency Safety Testing at Kendal Calling illustrates the unique value of conducting drug safety testing on site at a large-scale leisure event. The Loop’s team of chemists were able to identify the adulterant being mis-sold on site in real time, as soon samples were obtained and before anyone was hospitalised or worse. We then were able to notify festival-goers and equally importantly, all on-site emergency services, regarding harmful pills being sold on site on that day – pills that were already causing medical problems for users – and equally importantly, what it was being mis-sold as, to enable targeted information to be directed at ecstasy users. This occurred before incidents escalated, before off-site services were aware of these medical incidents, and days before an emergency warning system might hear about the incident, if at all, after the festival ended: MAST in action. 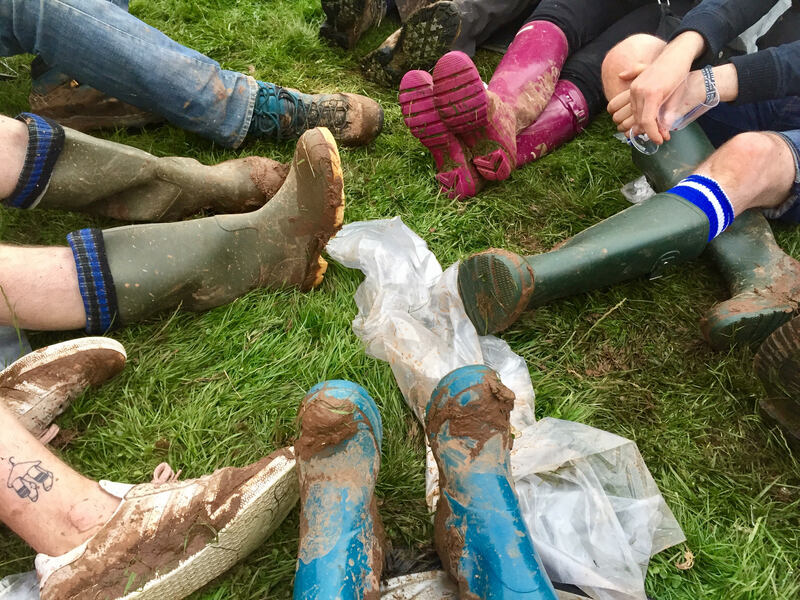 The success of this approach is illustrated by a man who came to the festival police within hours of The Loop posting our social media alerts and handed in two of the problem blue Anonymous pills that he had bought on-site, to ensure that they could not fall into the wrong hands. NB Pentylone and N-ethyl-pentylone can also both be detected at home with drug reagent tests as they turn bright yellow instead of purple/black for MDMA. The Loop’s Multi Agency Safety Testing will next be available for the testing of substances of concern at Boomtown Fair in Hampshire 10-13th August 2017.